I am no big fan of Valentine's Day. The last thing of note I did on Valentine's Day was two years ago when I split up with my ex, so you can probably gather I'm not really the card and chocolates type! When I was younger though, it seemed like the most depressing thing not to be going on a romantic date, getting a card from a secret admirer (there was no secret about the fact that there were no admirers!) or generally getting to do anything other than watch a slasher movie with girlfriends whilst talking about what idiots boys are anyway. If you're spending Valentine's Day with yourself - I'm not having any of that negative 'on my own' nonsense around here, if you don't mind! - here are my tips for the best alternative Valentine's Day money and the internet can provide! 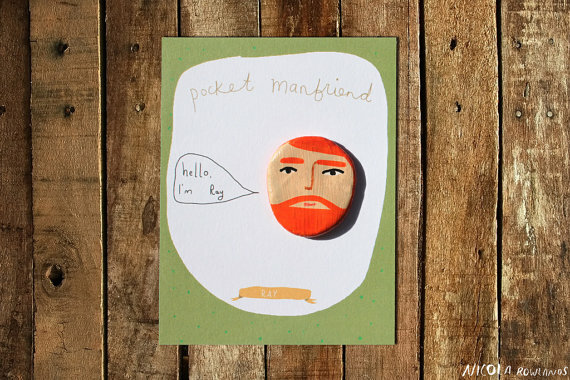 1. Who needs real men when you can have...a pocket manfriend! Seriously, I think these are the most hilarious things in the world. We all know somebody who's desperate to find the perfect guy, so why not get her one of these for a giggle? 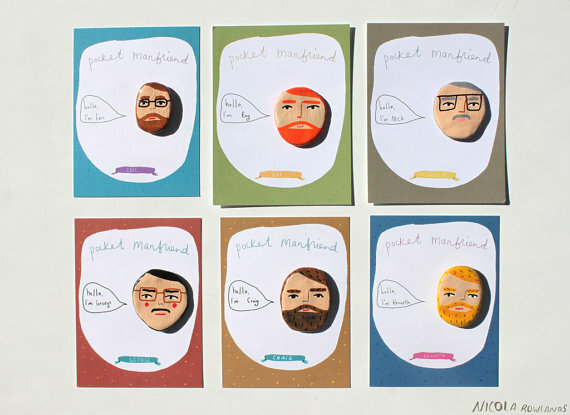 The very talented Nicola Rowlands, who also hails from Manchester, has designed these hilarious portable chaps which you can 'take anywhere for moral support'. I think I might need to get one just to take him into big meetings, put him on the table in front of me without saying a word, and having everyone think I've gone totally nuts. It's hard to choose, but I think Ray is my favourite. I love a good ginger beard. ...and go out for a 'romantic' meal with a friend. Preferably, don't get into a huge fight about said friend's life choices, but don't feel like the world is off limits to everyone but couples. Go to your favourite place, order something delicious and laugh about disastrous dates, bad boyfriends and realise being single isn't so bad after all. 3. If you want to stay in and eat junk food, luxe it up! That big bar of Dairy Milk isn't for today. Oh no, tonight you're spoiling yourself. Light some candles, slip into your most glamorous onesie, and crack open the Haagen Dazs. Mini bottle of champagne calling to you? Who are you to resist! If you're going to indulge, do it in style. Apparently, requests for divorce lawyers in the US go up by 40% in mid-February, so if you're single, at least you're saving on legal fees! 5. If you're all loved up, enjoy it! After all, some of us will be at home watching Psycho in a giant romper suit...ahem.